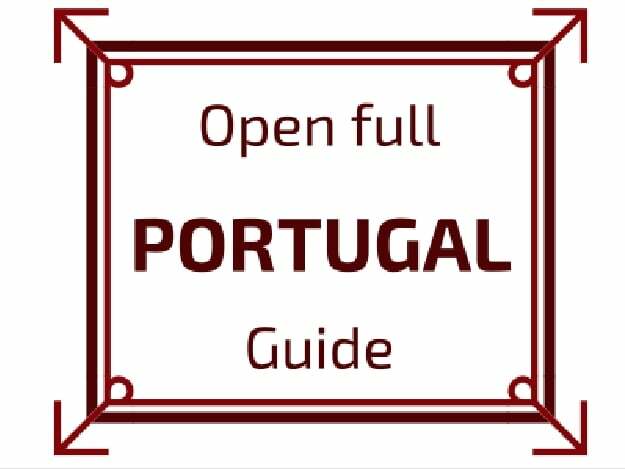 This article contains affiliate Links (﻿more info on the ﻿Disclosure﻿﻿ page﻿). 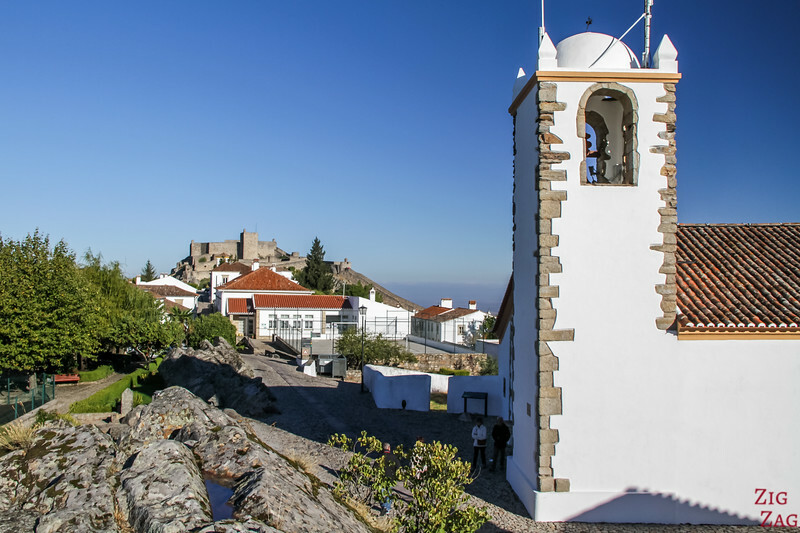 Marvao is really perched on top of the hill. There is a large car park near the gate entrance which is very practical. 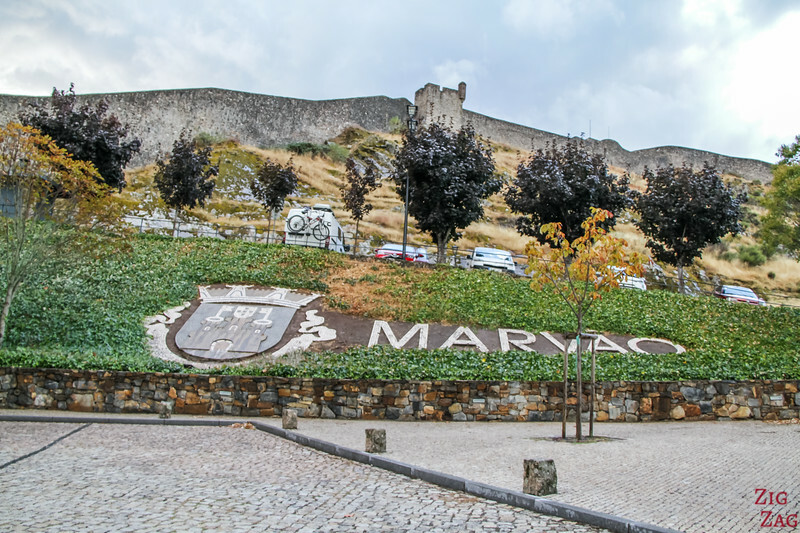 If you are not spending the night in Marvao don't drive inside the village. 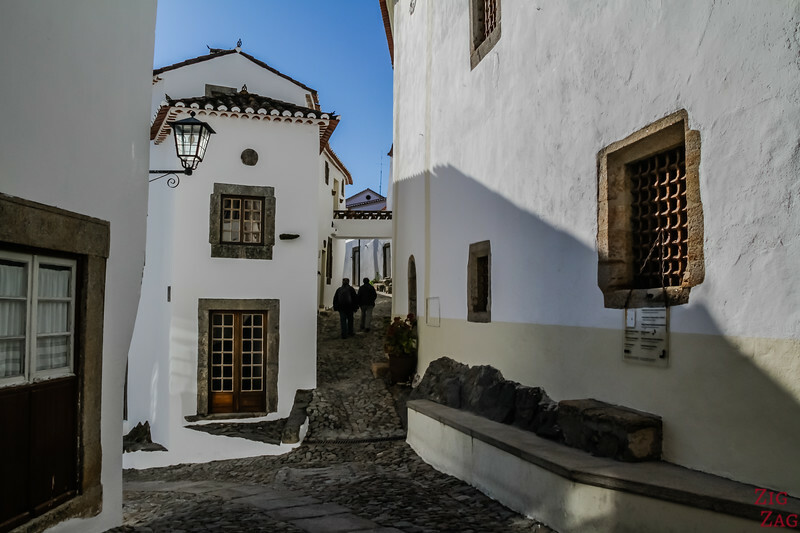 The streets are narrow and parking limited! 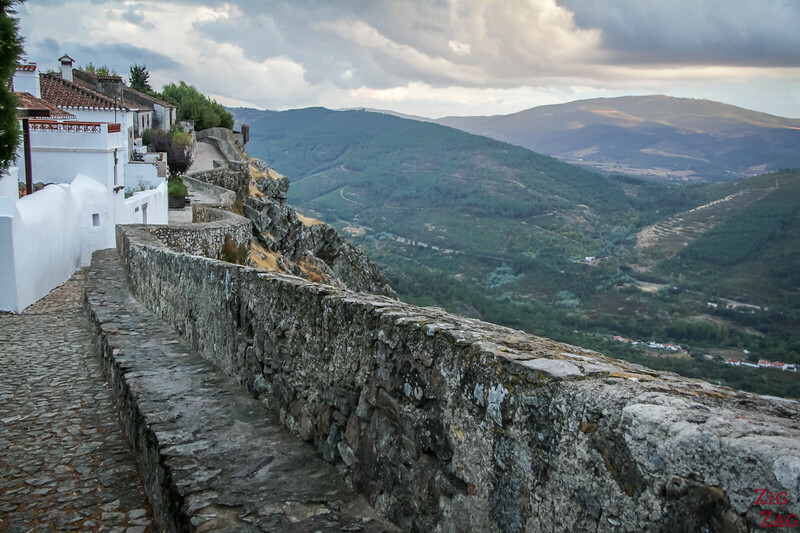 Marvao Portugal has become famous because it was listed in the New York Times bestselling book 1000 places to see Before your Die. 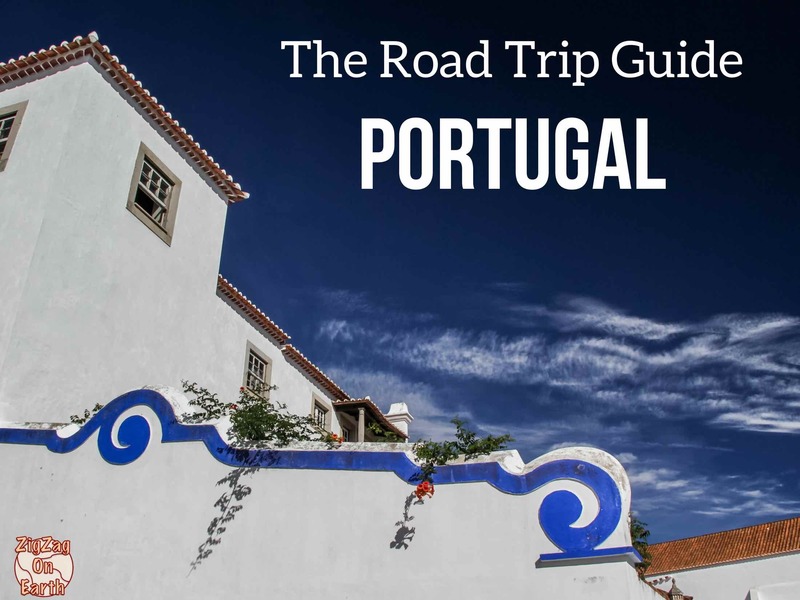 Not sure if it deserved to be on that list, there are many beautiful villages in Portugal, but the white houses, small churches and views are certainly worht the visit. 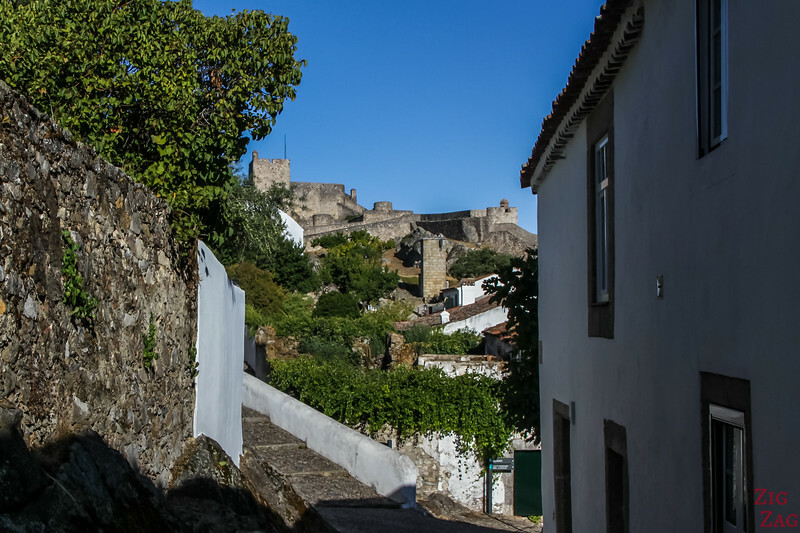 As you can see below, it is not the most photogenic village from the distance - Compared to Obidos, for example where the town is spread downhill. 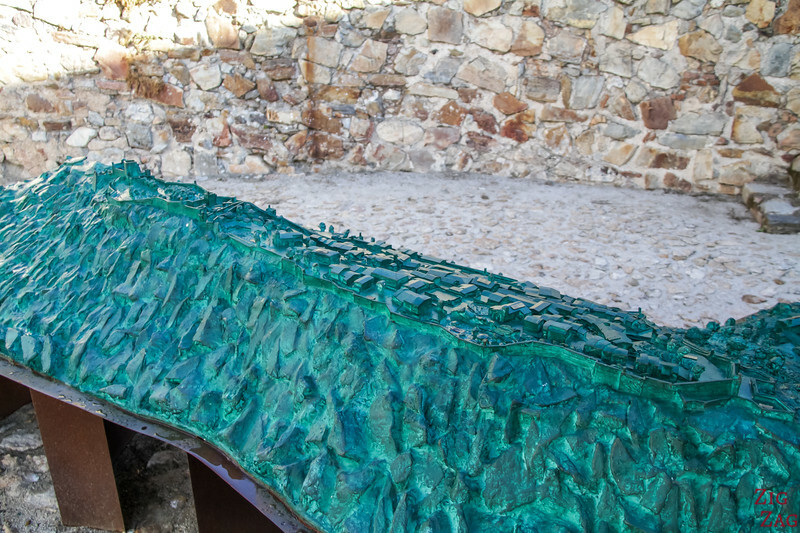 Inside the town, you can find a miniature representation of the hill, the village, the wall and the castle. Not as good as flying over it, but it helps you get an idea of the lay of the land. It really is like an eagle nest perched at almost 900 meters. 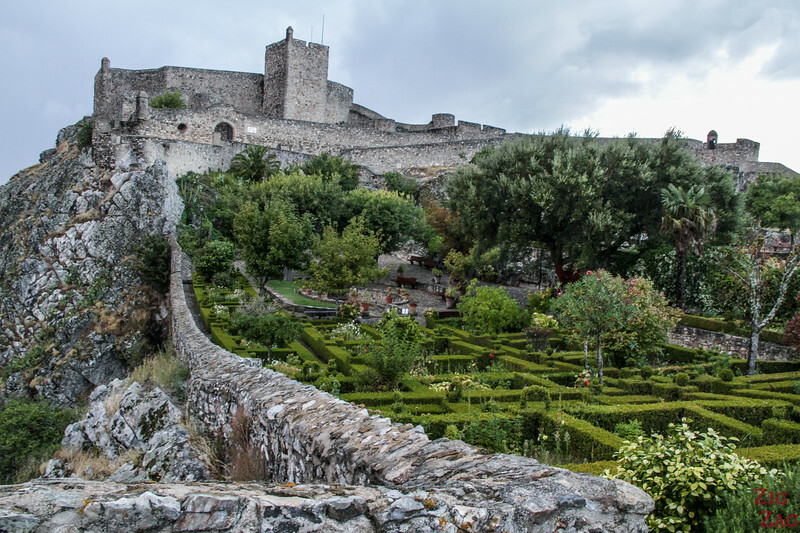 My favorite view of the place, is from the top of the town on the castle garden side, from the wall. This was just next to my hotel the Dom Dinis. 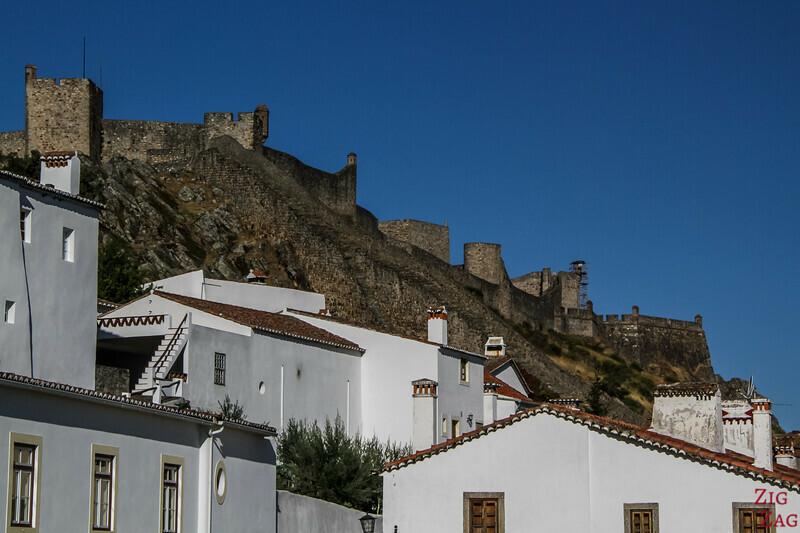 I love how you can see the fortification mixing with the rocks of the hill. 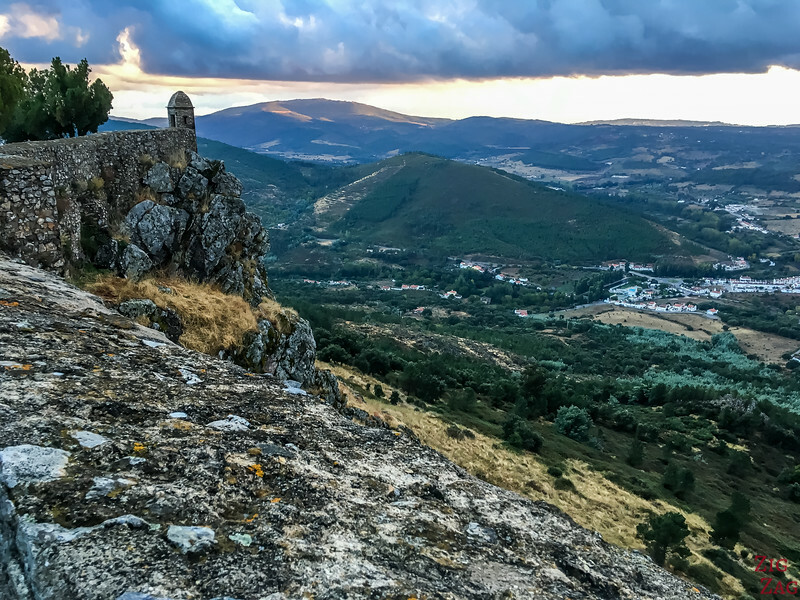 I offers stunning views of the Sao Mamede Mountains. 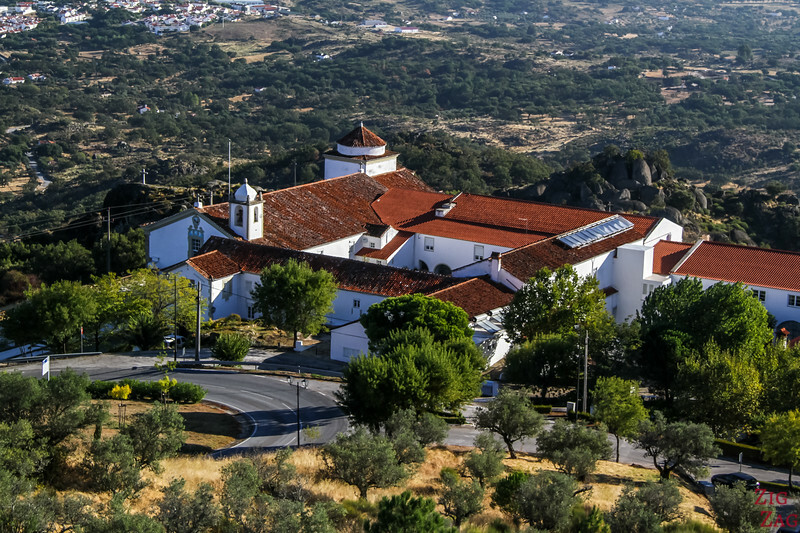 The village is actually located in the Natural Park Serra de Sao Mamede. 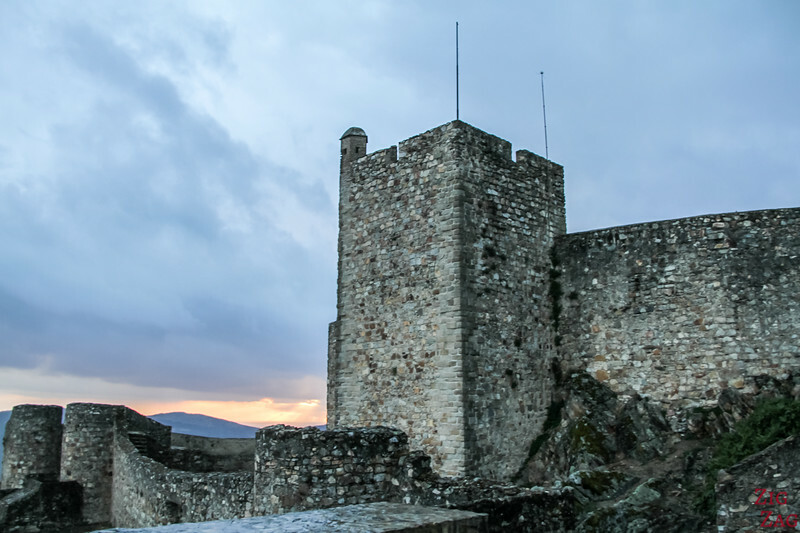 Built during the 13th century by King Dinis, the Marvao Castle sits slightly higher than the village at one end of the hill. As we will see further in the article, it can be visited. But the best view if from the outside, with the well maintained labyrinth garden. 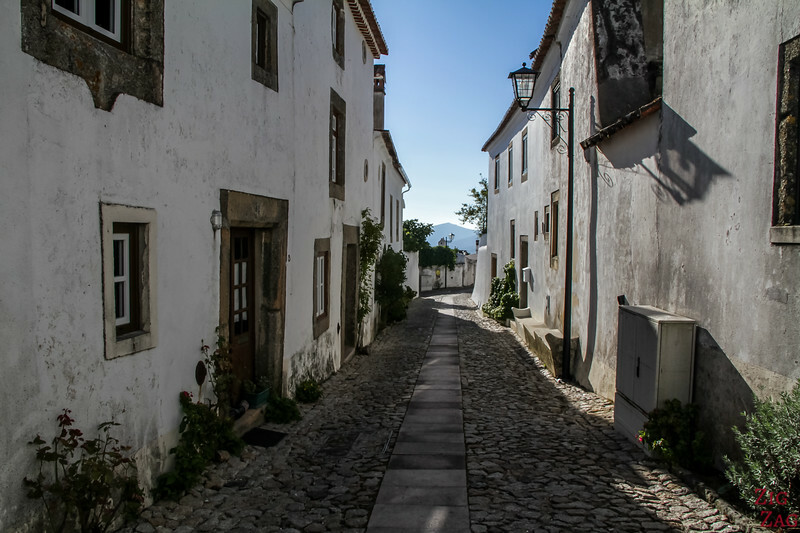 It is really enjoyable to wander the old streets of Marvao and fell the rich history behind those walls. 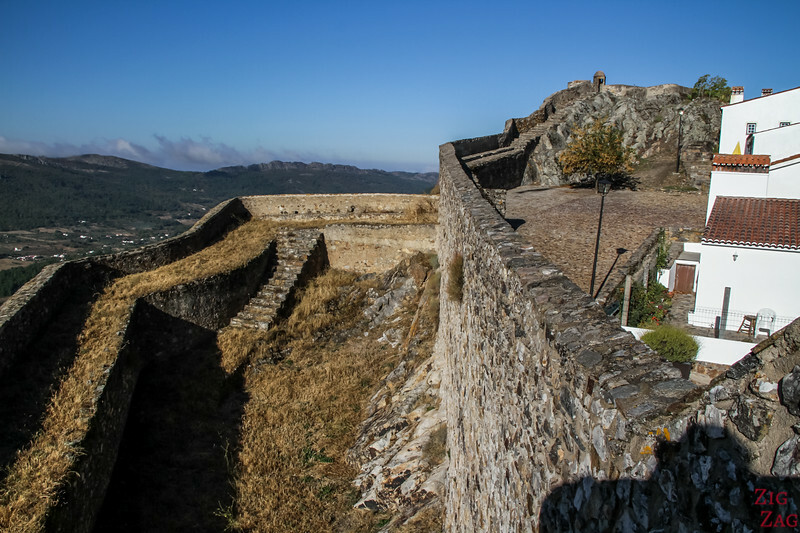 Military stayed established in Marvao from the Middle Age to the 19th century when the revolts started. 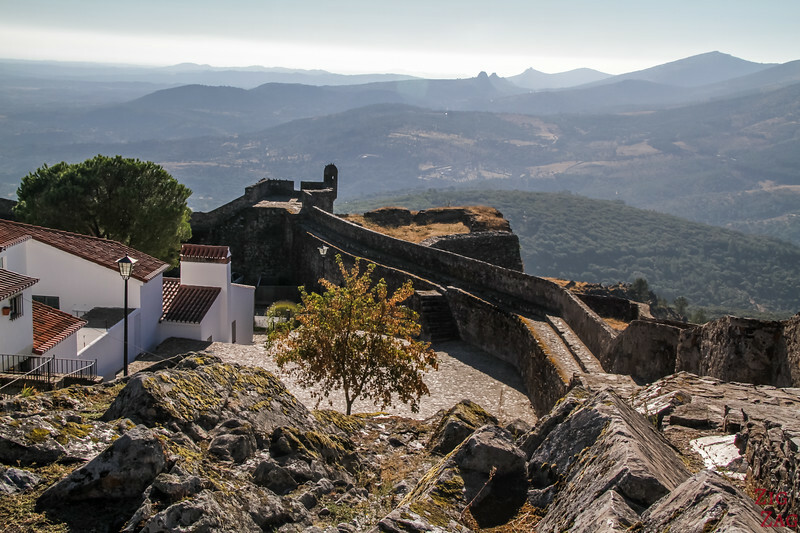 There are not that many streets, so you can really explore them all and discover the Marvao castle from different angles. 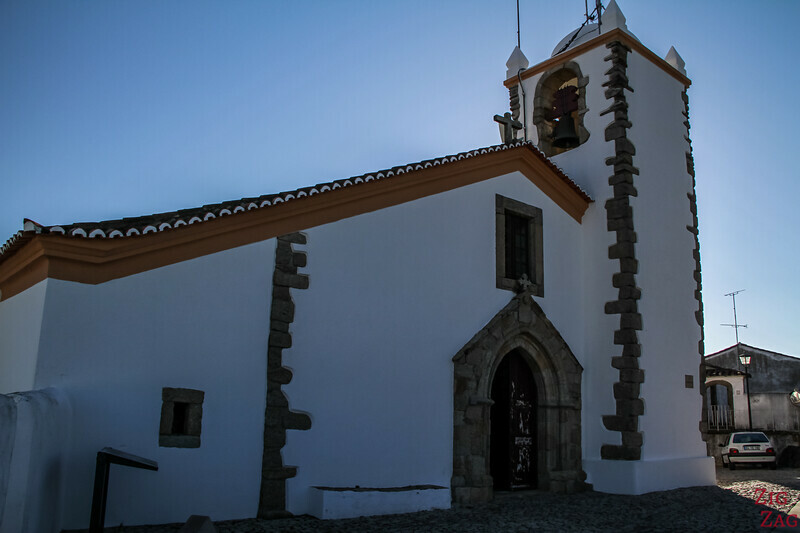 At the top of the village, at the opposite end from the castle, you can visit Igreja de Santiago. 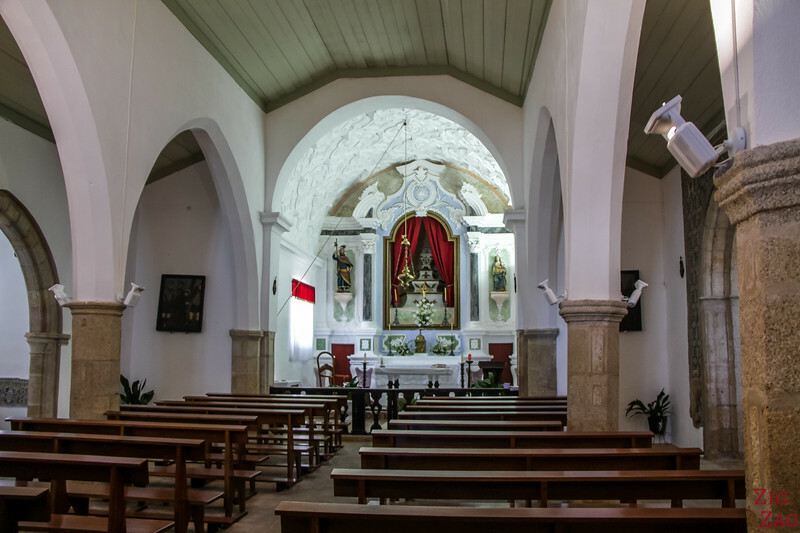 It is one of the oldest parishes belonging to the Order of the Hospital, later known as Order of Malta. 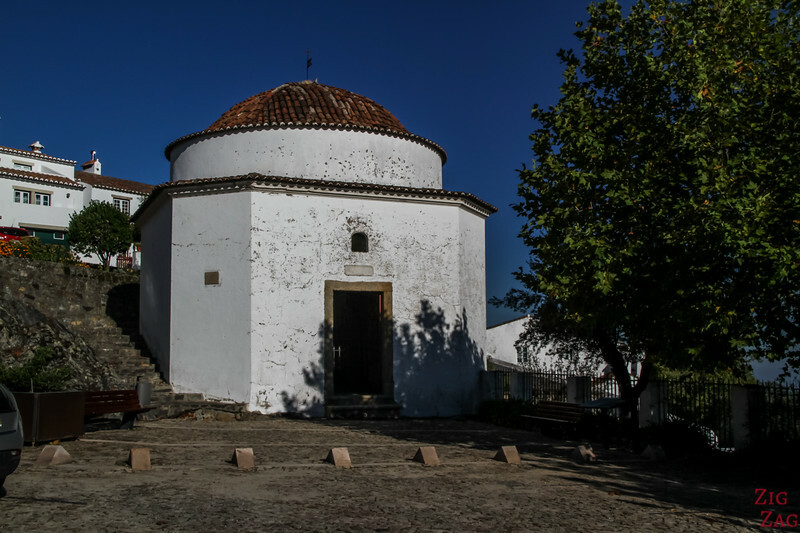 It was renovated in the 17th and 18th century with a Baroque Chapel of marble and glazed tiles. 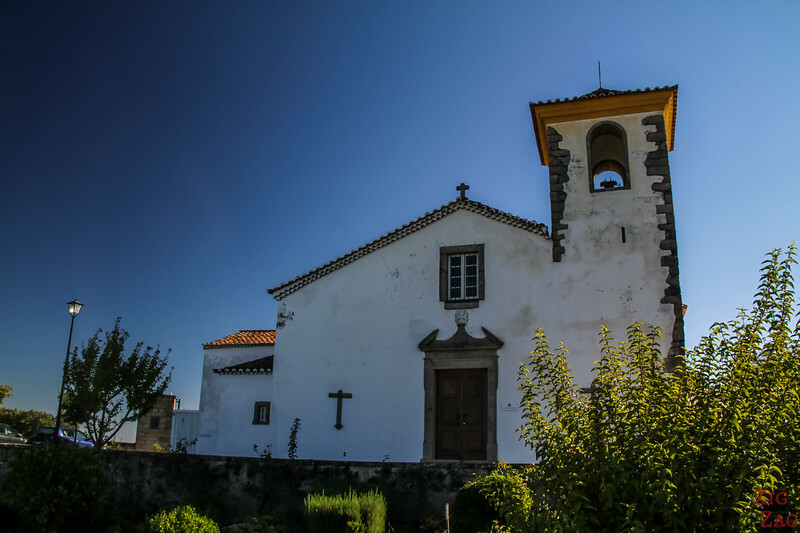 As you tour the old streets of the Marvao village, you will discover other churches of various shapes. 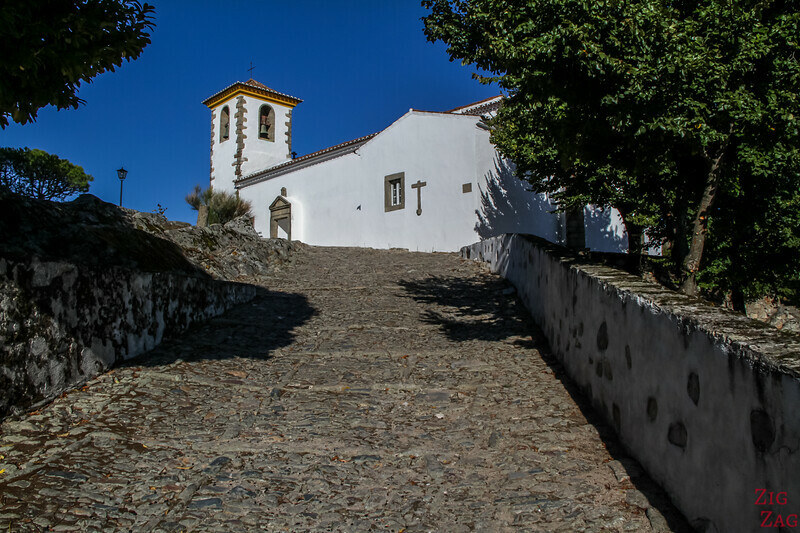 At the top of the stairs, the oldest catholic church of Marvao stands quietly. 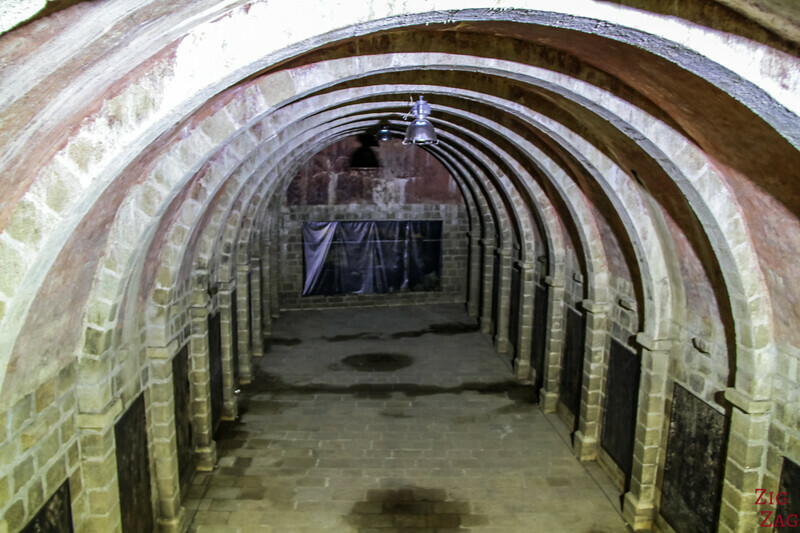 It is now the home of archives from the region and a small museum presenting religious art, archeology and ethnography pieces. 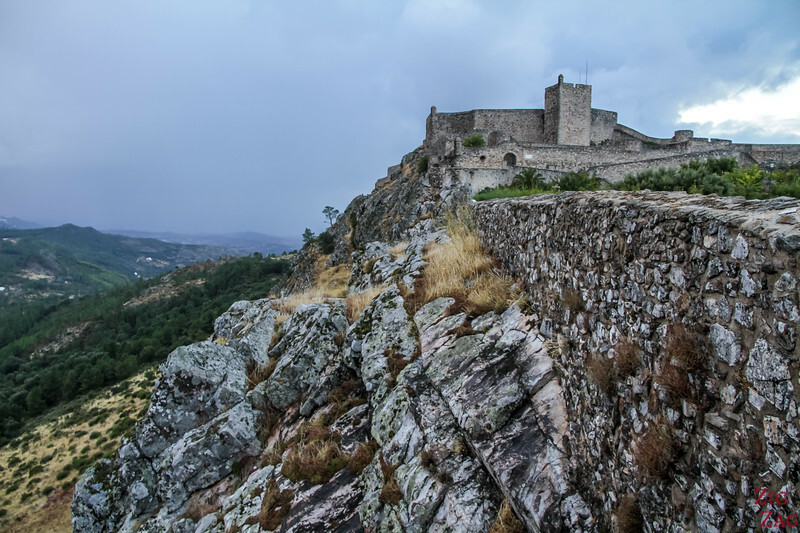 The Marvao Castle (Castelo do Marvao) as it stands today was mostly built under Dom Dinis in the 13th century. 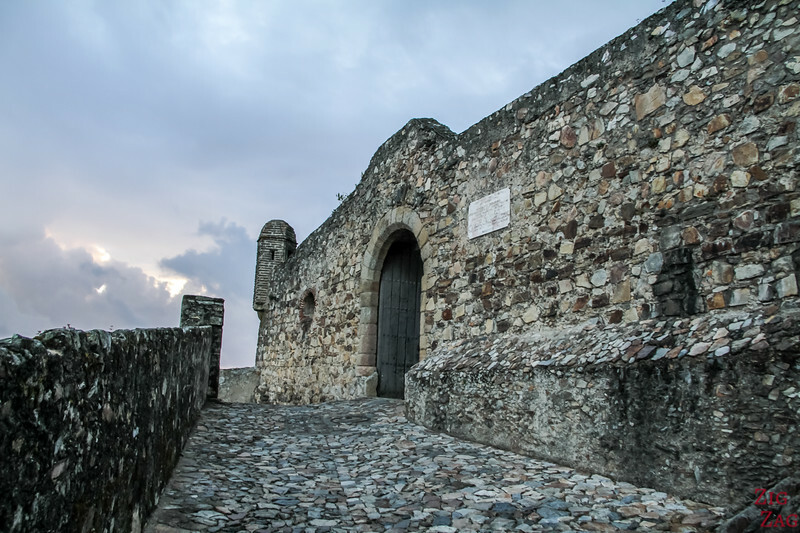 Located at the highest point on the plateau, it overlooks the whole village and controls the entry. As you can see it has a medieval austere granite walls. In the middle is a tall central keep tower and many defensive features including the triple gate to create kelling zones. There is not much to see in the castle appart from more views. 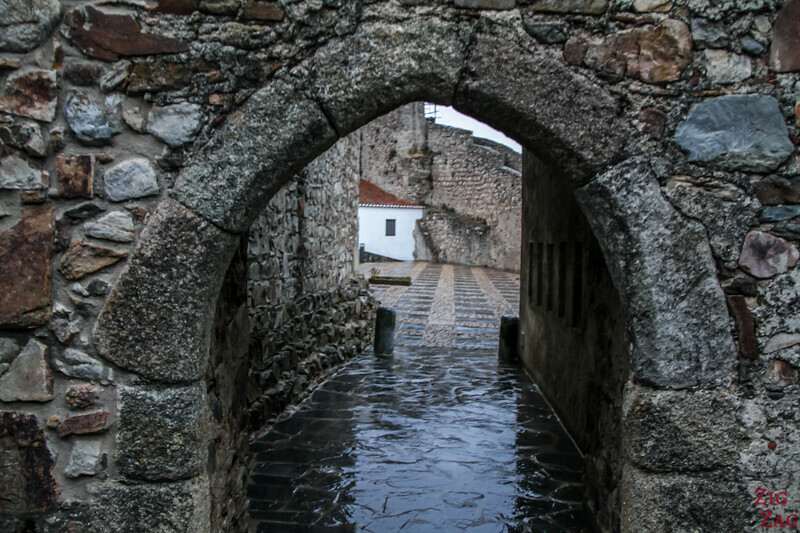 But one of the most interesting features of the Marvao Castle is the cistern. 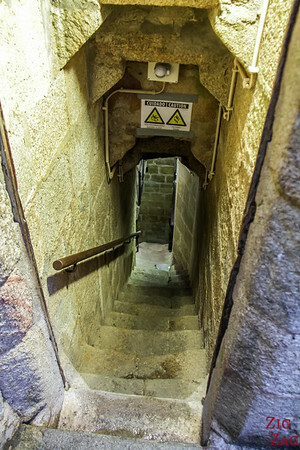 Close to the entrance you can walk down the steep staircase to access the vast area. It allowed to keep water for 6 months in case of an attack. 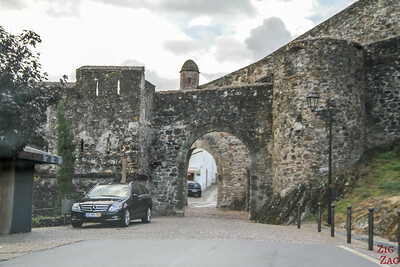 The whole village is surrounded by a fortification wall. 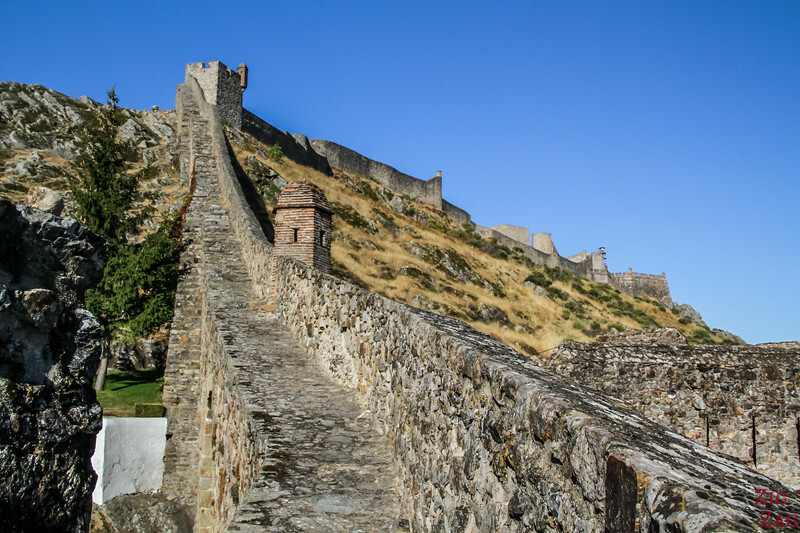 You can climb on it at various points but it is nothing like walking the walls of Obidos. 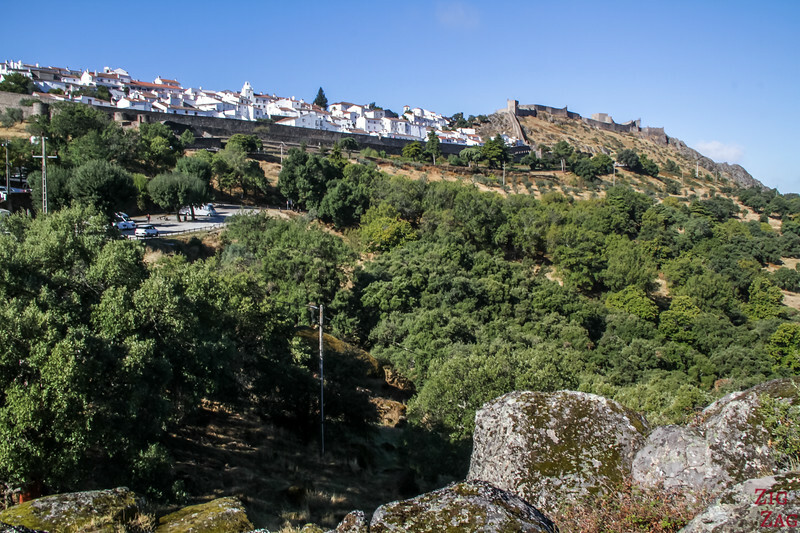 On your way down, outside of the wall of the Marvão Village, you can stop at the motorhome parking. 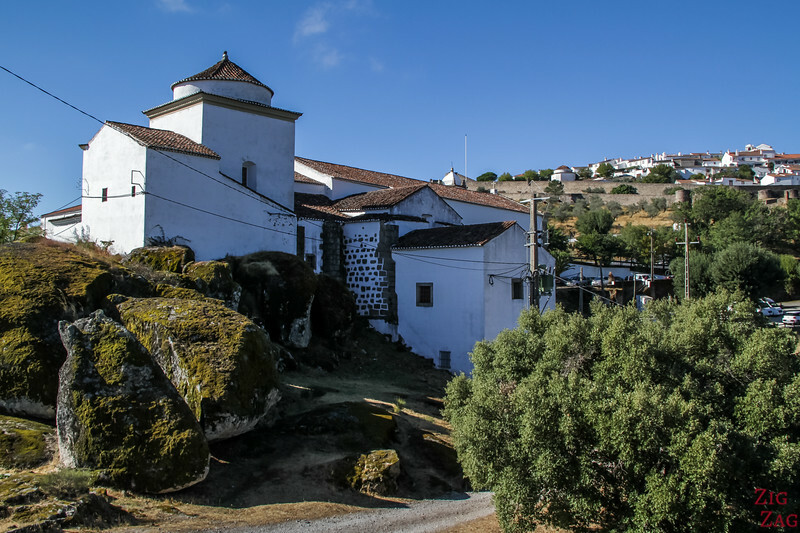 There you can have nice views of the villages and discover the church and Convent of Nossa Senhora da Estrela with its painted stones from the 16th century. The region is sparsely inhabited, so you will see only trees for a long time before reaching the village. Do you enjoy medieval Villages?